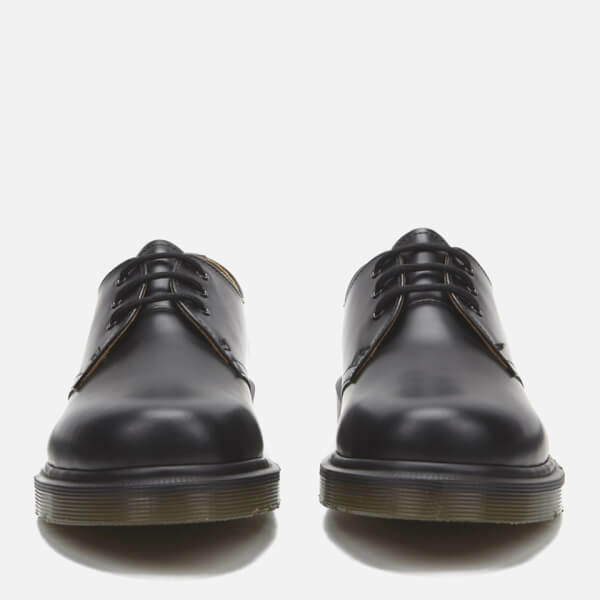 The Dr. Martens iconic ‘1461’ leather shoe takes its name from the date of its inception, 1st April 1961. 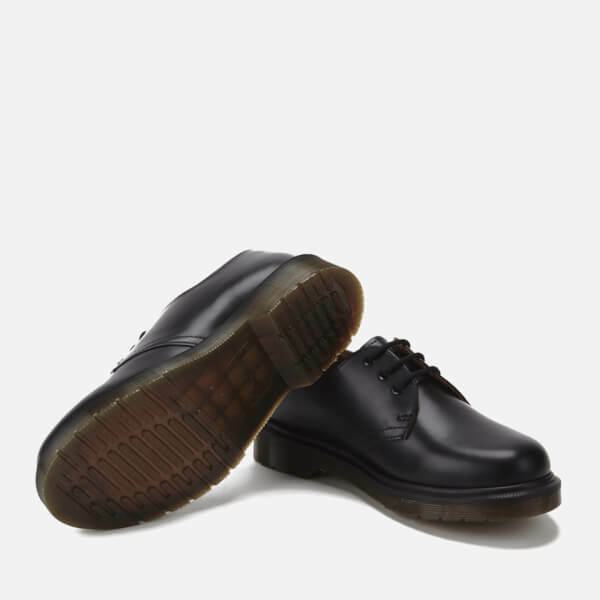 Originally worn as durable work shoes, the ‘1461’ 3-eye shoes went on to be adopted by British youth subculture and have since become a symbol of rebellious self-expression. 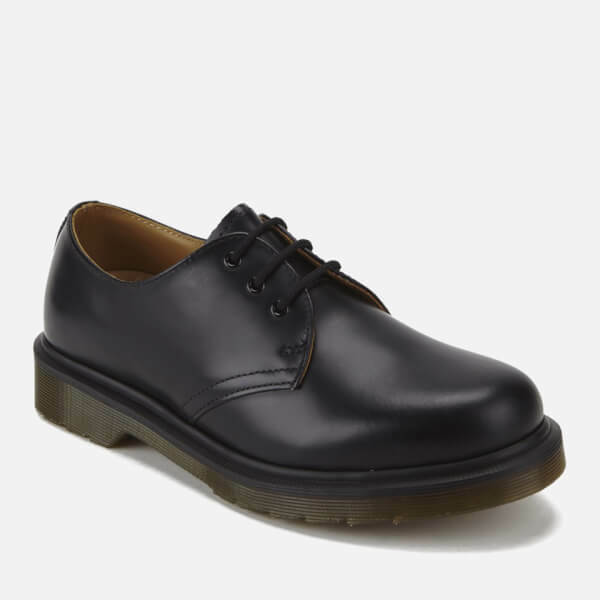 Crafted from smooth black leather with a round toe silhouette, the sleek three eyelet shoes feature Dr. Martens’ iconic grooved sides and a plain welted sole with no visible construction thread. 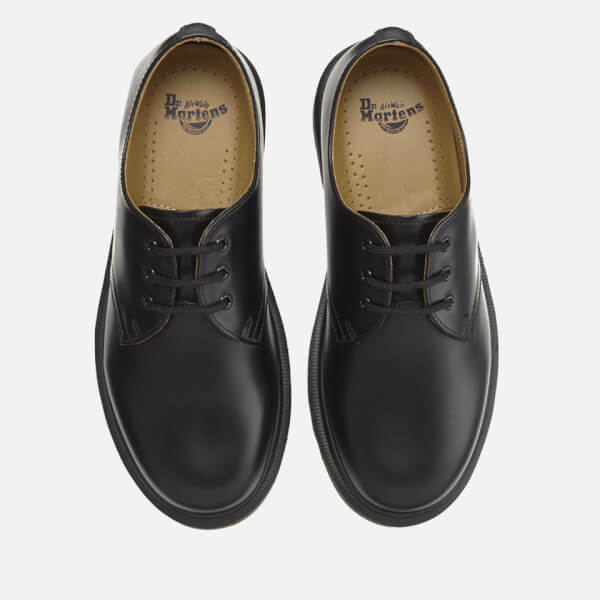 Goodyear-welted, the upper and signature air cushioned sole are heat-sealed and sewn together for durability. 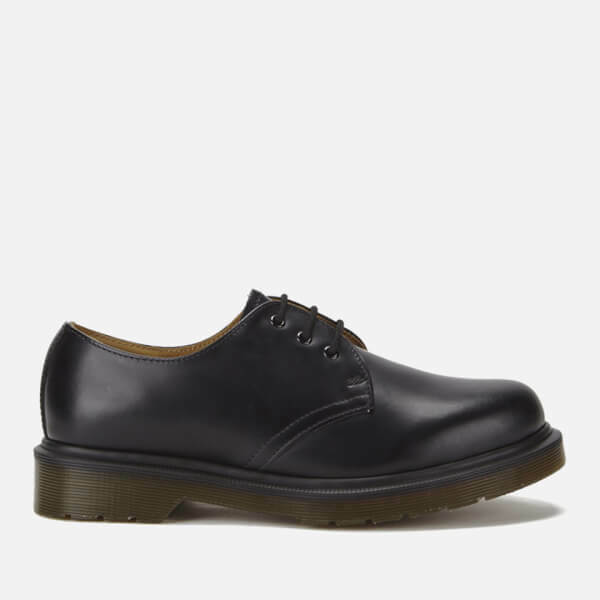 The black leather shoes are finished with a branded insole and a signature PVC outsole that provides excellent abrasion and slip resistance. 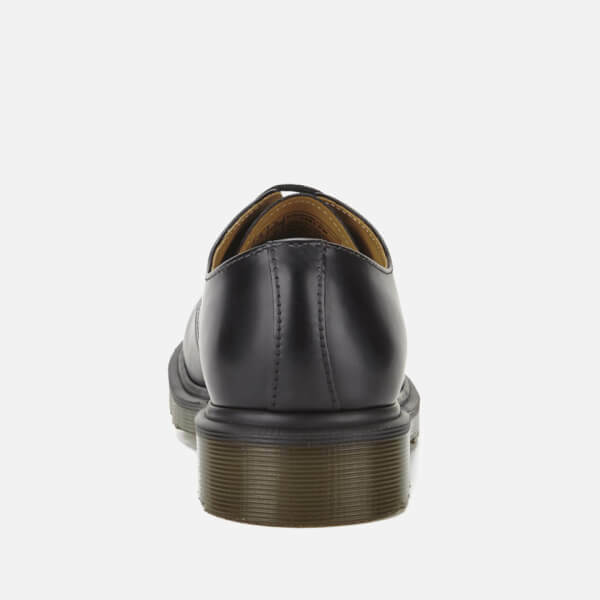 The size is too large，but the shoes is great.